AZ-HOPE is a collaboration between academic and community partners sharing the goal of promoting and supporting the pipeline of allied health and health professionals in the state of Arizona. AZ-HOPE is recruiting students who have an interest in strengthening their competitiveness and successful admission and completion of allied health and professional degrees. This program is supported by the Health Resources and Services Administration (HRSA) of the U.S. Department of Health and Human Services (HHS) and is designed to help individuals from disadvantaged backgrounds (economically or educationally), with special emphasis on individuals from rural and medically underserved communities. Students and aspiring students to any Arizona allied health or health professions programs are eligible to apply (non UA students are also encouraged to apply). Our menu of supported programs will alow students to participate in activites and experiences targeted to their training/educational level, career interests and capabilities. AZ-HOPE Ambassadors: An innovative multi-year longitudinal academic development program for students at various stages along the continuum of development in the Allied Health Professions/Health Professions pipeline. This competitive multi-year program provides learning support services, mentoring, counseling, academic advising, scholarships, and stipends to individuals selected for participation. Med-Start Health Careers Program: A 6-week residential summer academic enrichment and health career exploration program for disadvantaged high school juniors (rising seniors). Students experience college life at UA dorms, take college credit courses, and learning about allied and health professions from practitioners. The program is provided free to selected participants who meet eligibility guidlines. 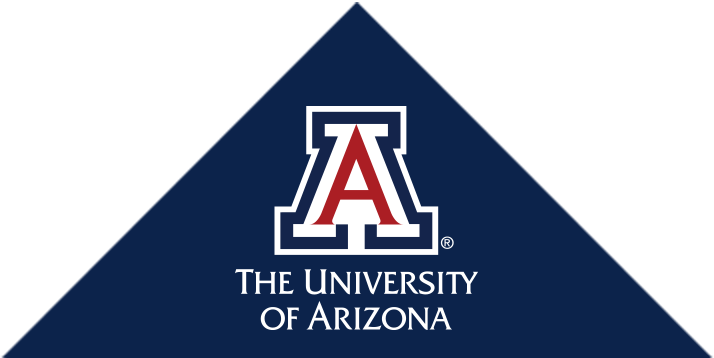 BRIDGE: A 4-week full time college transition program for disadvantaged students newly admitted to the University of Arizona directly from high school, transferring from community college, or are Adult Non-Traditional Learners (including Military Veterans). College credits and a stipends are provided to participants in this summer program. Border Health Scholars Summer Research Internship: A 10-week mentored summer research program and Health Professions admission preparation for undergraduate students from disadvantaged backgrounds. A stipend of $3,000 is provided to eligible participants as part of this program. BLAISER Border Latino and American Indian Summer Exposure to Research (BLAISER) was created to address health disparities in Arizona’s ethnically diverse and fast-growing communities. This cutting edge 10-week, undergraduate research experience provides an extraordinary laboratory training opportunity, pairing the junior and senior level student-scholars with preeminent UA health sciences researchers. FRONTERA Focusing Research on the Border Area (FRONTERA) Summer Internship provides undergraduate and graduate students with opportunities to prepare for graduate school, hands-on research experience, and an increased understanding of public health disparities in the U.S.-Mexico Border Region. Participants are matched with faculty mentors engaged in biomedical and public health research that has an impact on border communities. This website is supported by the Health Resources and Services Administration (HRSA) of the U.S. Department of Health and Human Services (HHS), under grant number D18HP32129 Health Careers Opportunity Program, as part of an award totaling $3,199,800 with 0 percent financed with non-governmental sources. The contents are those of the author(s) and do not necessarily represent the official views of, nor an endorsement, by HRSA, HHS, or the U.S. Government. For more information, please visit HRSA.gov.